This event underlined the key role of the fight against AMR to ensure we deliver on SDG 3 (but also 1, 2 and 8) and focused specifically on how the life sciences industry could contribute: What actions have already been undertaken, where does industry have the most added-value, where do we need to further collaborations to succeed? Experts from diverse life sciences shared their perspective on how their business can contribute specifically, what are their respective strengths and where gaps remain. In addition, global health experts offered their recommendations to set aspirational goals for the industry and incentives further collaborations with governments. 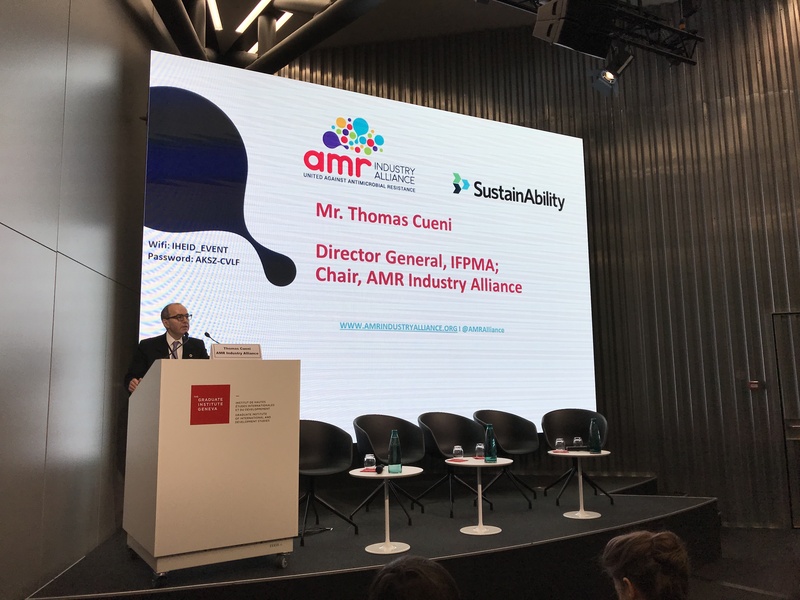 The AMR Industry Alliance has worked with SustainAbility to deliver its first progress report. The report compiles the results of how members of are meeting the Alliance’s goals, in four different areas: Research and Science, Access, Appropriate Use, and Environment. It is the first attempt to aggregate and report the diverse industry activities relating the development of AMR. This first report has been launched at this event and serves to benchmark our progress, set targets for the future and identify gaps where further efforts may be required. The video-recording of the event is available here. The write-up of the event is available here. Dr. Sanjay Kakkar, MD, MSc, MPH, CEO, Peptilogics, Inc.